The Real Foods Nutrition Guide recipes are pre-loaded in the Real Appeal Effect tracker, making it simple to track these delicious dishes. Follow these instructions to enter them in your tracker. In the What did you eat? field, start typing the recipe name in the search bar. 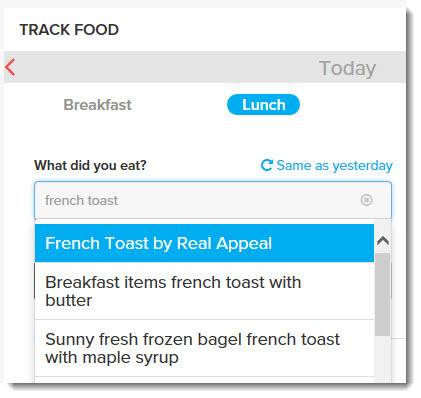 The tracker automatically will display food items that match your search terms, listing the Real Appeal recipes first. Select the recipe, enter the number of servings you ate and then click Save.